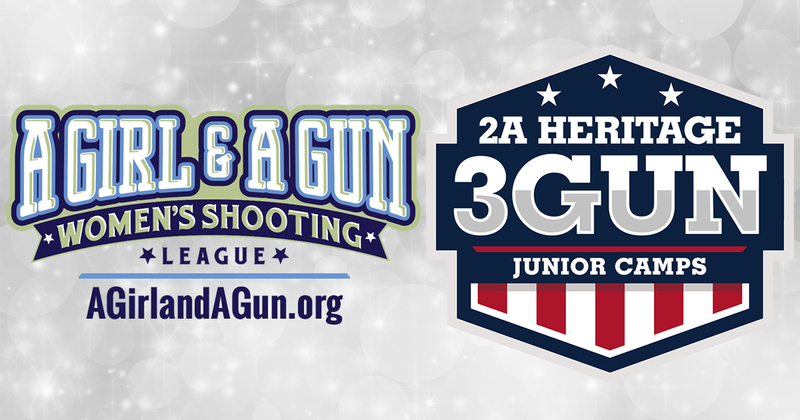 AUSTIN, TX — A Girl & A Gun Women’s Shooting League (AG & AG) announced that it will be a sponsor for the 2A Heritage Junior Camps in 2016. AG & AG will host a pizza dinner for the participants and their parents during the camp. The organization will also sponsor registration fees for a lucky AG & AG youth member to attend. “AG & AG has welcomed thousands of women into the shooting community, so we have seen an increase in family participation as well,” says Julianna Crowder, Founder of AG & AG. “Shooting sports have traditionally been a family activity; however, over the past 20 years, participation tapered so that most children only touched on marksmanship with pellet guns at summer camps. 2A Heritage gives junior shooters the opportunity to develop shooting skills at the highest level. We are proud to support their programs to educate the next generation of competitive shooters.” The 2A Heritage Junior Camps will take place in the summer in Clinton, SC, and Topton, PA. Only 25 campers will be accepted into each event. Classes will take place on the first two days of camp, followed by a match-style shoot the final day. Campers will receive instruction on pistol, rifle, shotgun (basic), long-range rifle, shotgun on the move/slugs/buckshot, advanced pistol skills, and transitions and stage planning. AG & AG youth members who have active memberships and have competed in at least four 3-gun matches are eligible to win. The lucky member will receive a sponsorship from AG & AG to be a 2A Heritage camper. The drawing will be held on May 1, 2016. More information can be found at www.2aheritage.org. About A Girl & A Gun A Girl & A Gun Women’s Shooting League (AG & AG) is a club by women shooters for women shooters. The league breaks barriers for women and girls in pistol, rifle, and shotgun sports by welcoming beginners to learn the basics of safe and accurate shooting and providing experienced shooters with advanced-level opportunities. AG & AG’s girl-friendly events have been successful stepping stones for thousands of women into shooting sports and fostered their love of shooting with caring and qualified instructors to coach them. Girls (ages 10-17) can join AG & AG as Youth Members, when their parent or guardian (mom or dad) is a member. As a part of the organization, she receives a personalized AG & AG designer name tag and an official membership card. Register at www.agirlandagun.org.